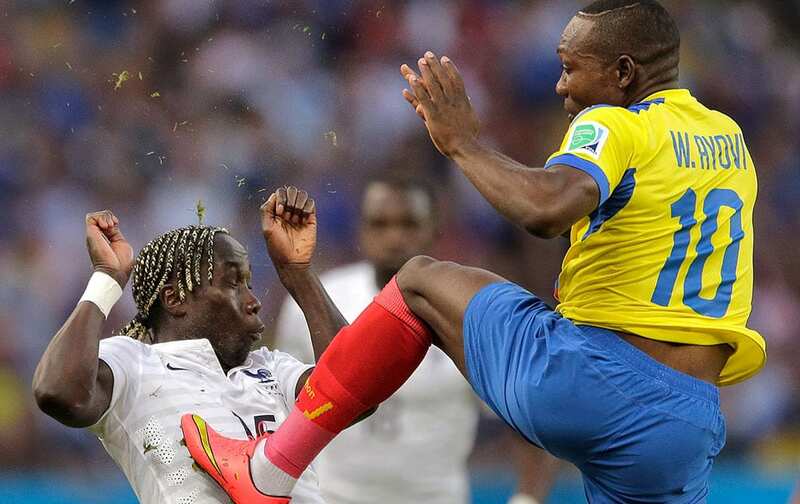 France's Bacary Sagna ends up with Ecuador's Walter Ayovi's cleats in his chest after he kicked the ball away during the group E World Cup soccer match between Ecuador and France at the Maracana Stadium in Rio de Janeiro, Brazil. 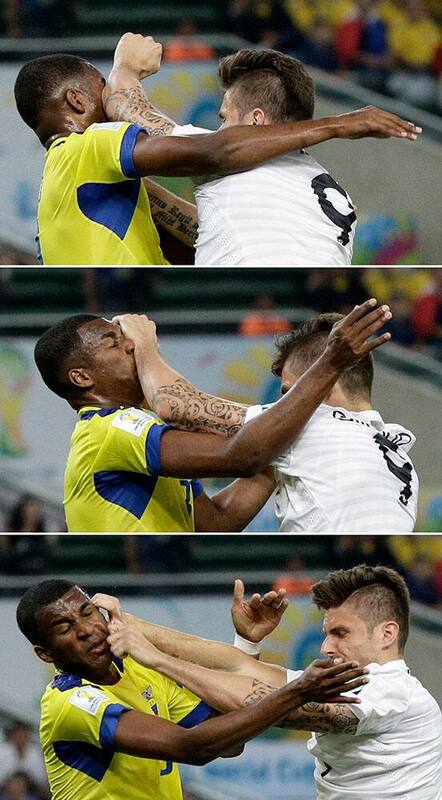 The combo show France's Olivier Giroud, right, clashing with Ecuador's Frickson Erazo during the group E World Cup soccer match between Ecuador and France at the Maracana Stadium in Rio de Janeiro, Brazil. 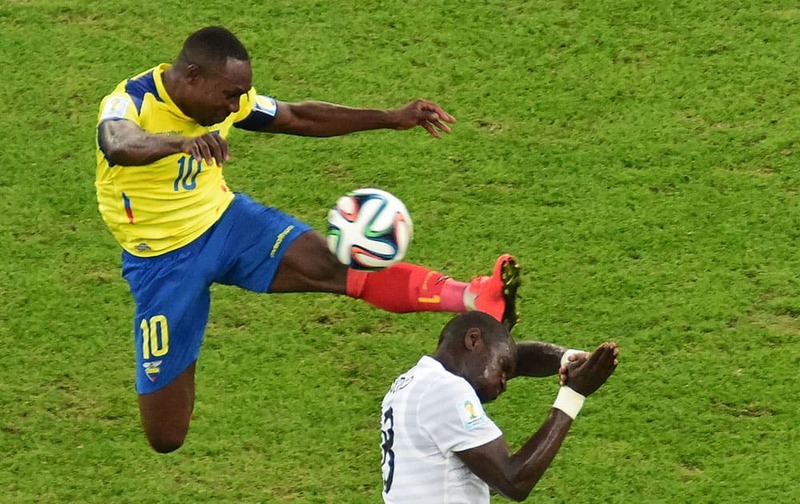 Ecuador's Walter Ayovi, left, and France's Moussa Sissoko challenge for the ball during the group E World Cup soccer match between Ecuador and France at the Maracana Stadium in Rio de Janeiro, Brazil. 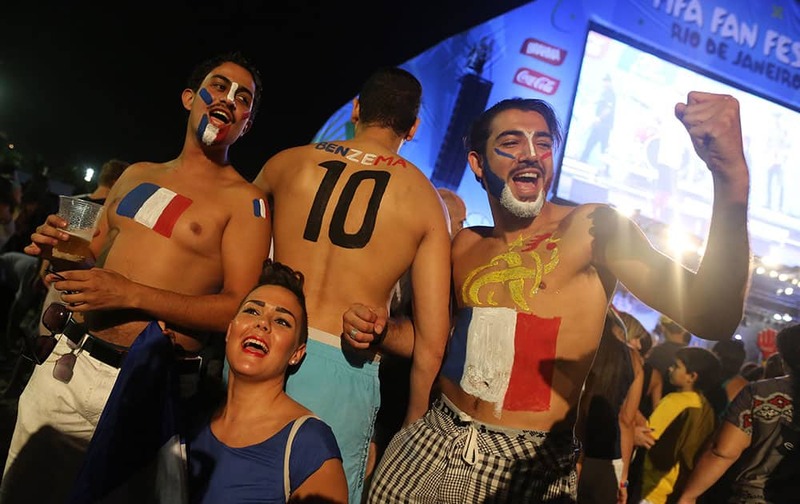 French soccer fans pose for photos after watching a live telecast of the World Cup group E match between France and Ecuador inside the FIFA Fan Fest area on Copacabana beach, in Rio de Janeiro, Brazil. 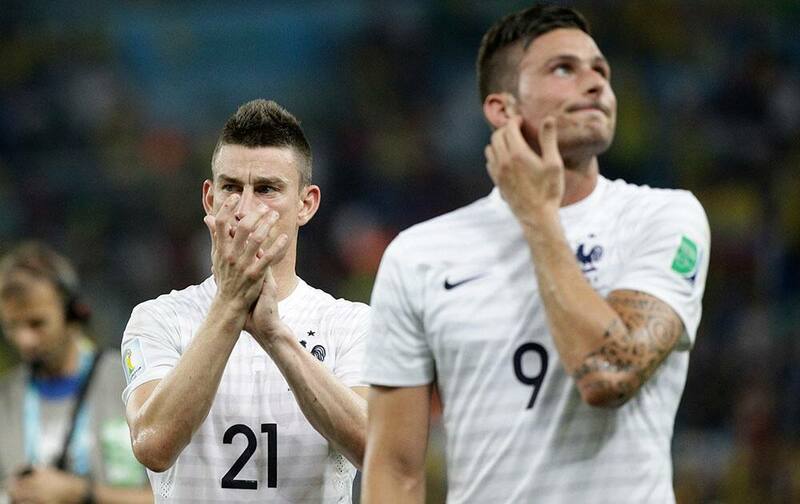 France's Laurent Koscielny, left, and Olivier Giroud leave the pitch after the group E World Cup soccer match between Ecuador and France at the Maracana Stadium in Rio de Janeiro, Brazil. 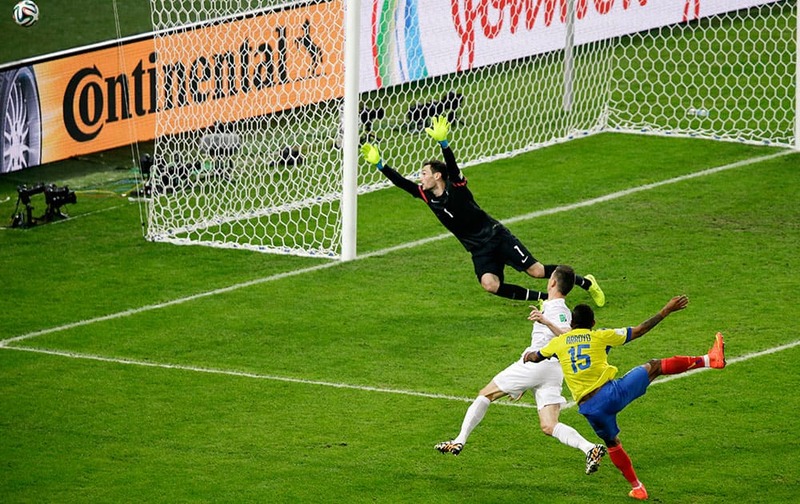 Ecuador's Michael Arroyo (15) takes a shot which goes wide past France's goalkeeper Hugo Lloris as France's Laurent Koscielny defends during the group E World Cup soccer match between Ecuador and France at the Maracana Stadium in Rio de Janeiro, Brazil. 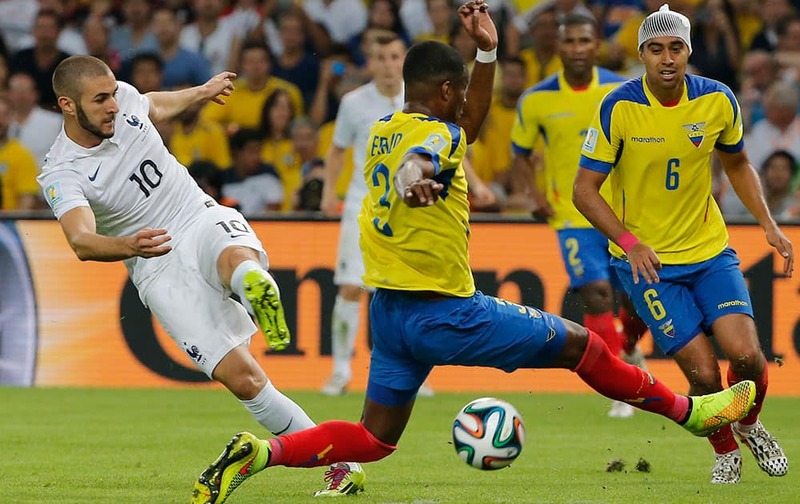 Ecuador's Frickson Erazo, front, blocks a shot by France's Karim Benzema, left, during the group E World Cup soccer match between Ecuador and France at the Maracana stadium in Rio de Janeiro, Brazil. 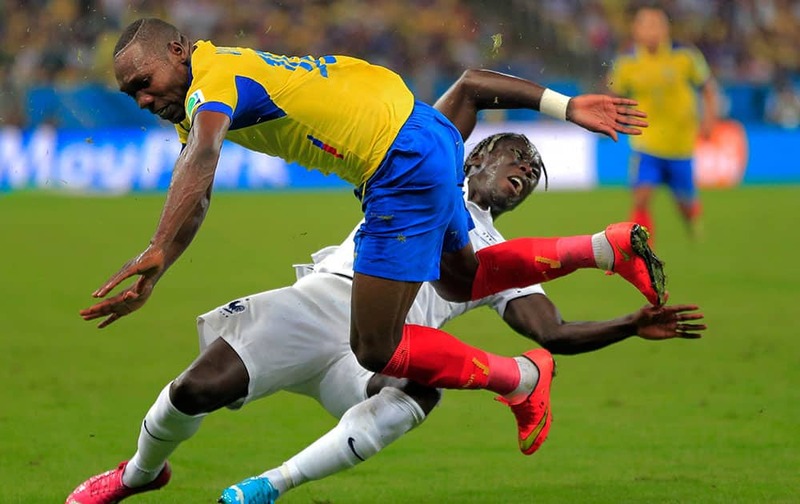 Ecuador's Walter Ayovi collides with France's Bacary Sagna during the group E World Cup soccer match between Ecuador and France at the Maracana Stadium in Rio de Janeiro, Brazil.